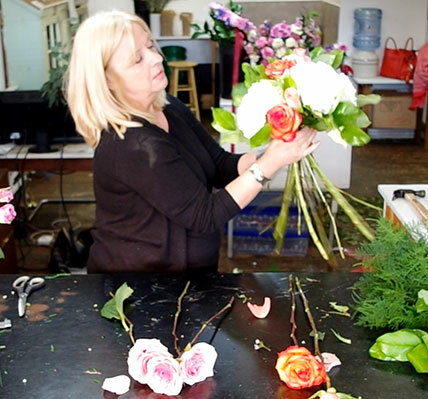 Curious About Learning Floral Design? A lot of men and women inquire about learning floral design, it was this reason that back in 2012 we founded the Toronto Flower School. In this short video I wanted to share a simplified tutorial about hand tied bouquets which is a key skill and more difficult then it looks. This is also where we start our TFS training, of course if you have questions about any of our floral design tutorial videos feel free to send us an email.